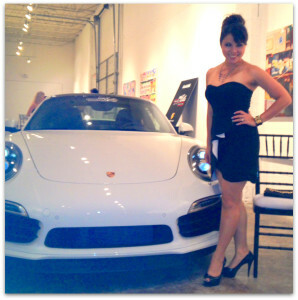 I had an opportunity to join Modern Luxury Atlanta for To Live and Dine event last Monday 4th. It was a very fun party where gourmet food was served. I ordered my dress from Bluefly.com. It was a sweet heart neck line with empire waist. This dress was from Fable. The cut was very neat and classy. I love the contrast white in the ruffle and the waist line that I can put on a belt to create a curve. The empire waist helps elongate my torso for a petite girl like me. 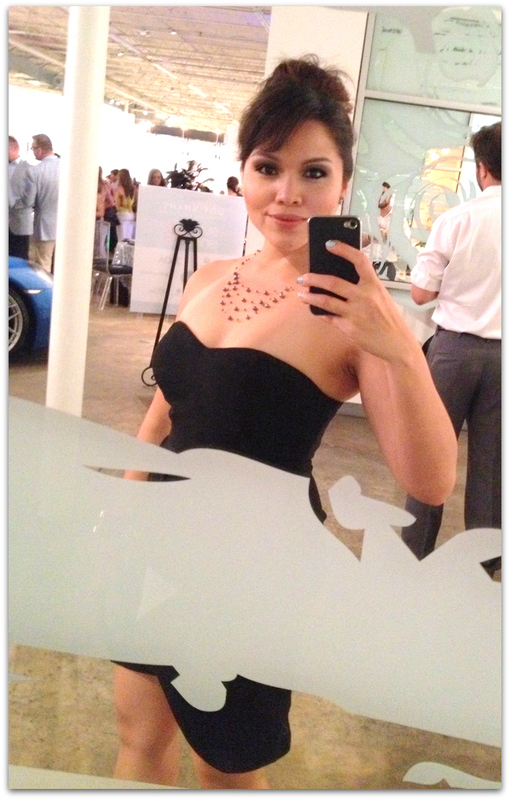 I am obsessed with the sweet heart neck line, it gave me a great space to play with my necklace. The night was classy and luxury yet hip. I decided to go with smokey eyes inspired by Lisa Eldridge video. It was simple and effective work! I love all my make up that I’ve collected over a year. After five hours, everything stayed on. I had on a smash lash for fake eye lashes. They made of human hair and they are very natural looking. I don’t feel the heavy weight on my lashes and Duo glue was amazing as usual. The simple thing about a little black dress is; the accessory and shoes. I think this is why I have so many black dresses and black pairs of shoes. I went with a simple black pumps with peep toes by Guess. These are very comfortable that I could stand all night long without taking them off. My clutch was from Michael Kors, a very soft material with a gold chain across. Love everything black and classy like this.